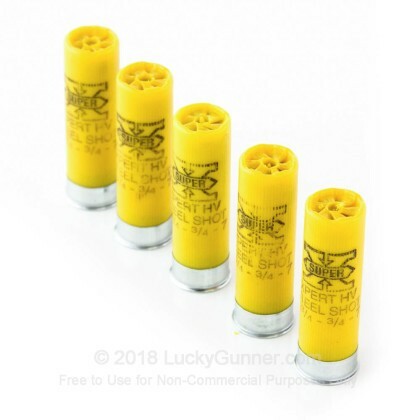 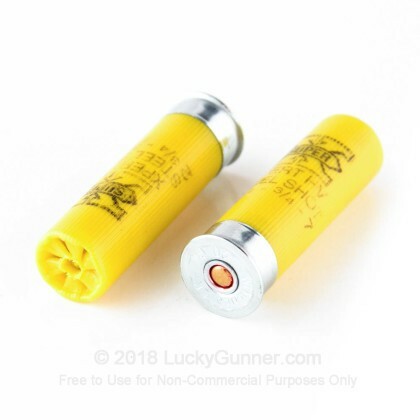 This load is great for use in areas where the use of lead shot is either illegal or against the range rules. 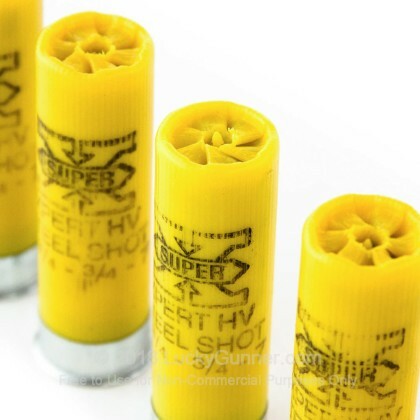 Fast flying (1325 fps) and hard hitting, this round won't let you down on the clay range or in the field. 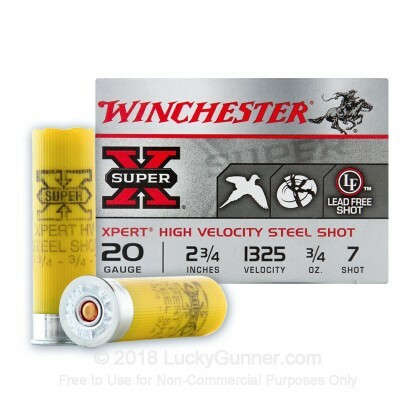 We also have this 20 Gauge - 2-3/4" 3/4 oz. 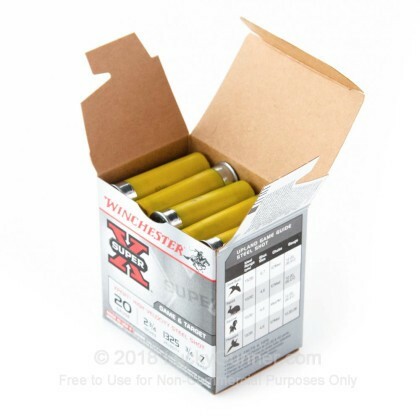 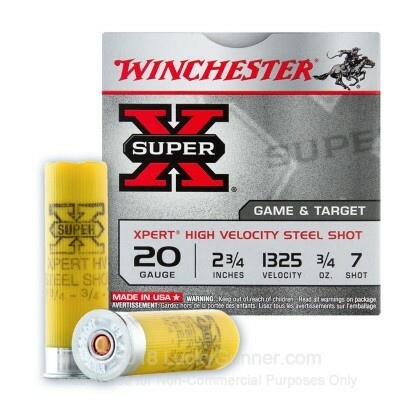 #7 Steel Shot - Winchester Super-X - 250 Rounds ammo in stock in a bigger quantity.